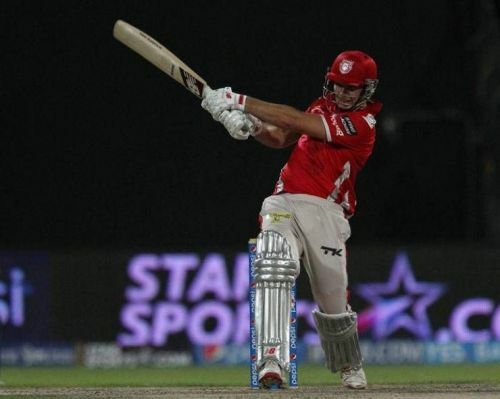 Kings XI Punjab have been one of the three teams who are yet to taste the joy of winning the IPL trophy. There have been quite a few seasons, especially the ones following the mega-auctions, when they entered the season as favorites. But every single time they have flattered to deceive. The same happened in the 2018 season, when KXIP went into the tournament as one of the favorites. They started in magnificent fashion, winning 6 of their first 7 matches. But only one win from the next 7 games saw them exiting from the group stage. Following that disappointment KXIP released a majority of players, retaining only 9 players. In the auctions for the upcoming season, the management did some smart buying, the result of which will be for everyone to see once the tournament begins. With nearly one month for the for IPL 2019 to begin, we look at the best overseas combination for the Punjab-based franchise. 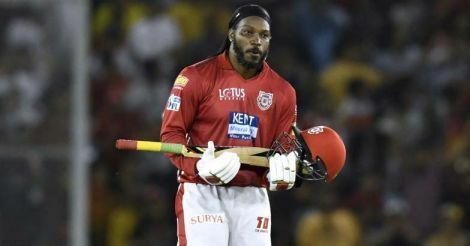 One of the best performers among overseas players in the IPL, Chris Gayle started off with a bang for KXIP last season, hitting a magnificent hundred against one of the best bowling lineups of the tournament. The hundred was followed by a few more good knocks before a lean patch started, which coincided with the downfall of the team in the second half of the season. Even the retention of Gayle before the 2019 auctions raised some eyebrows considering his lack of form and the age factor. 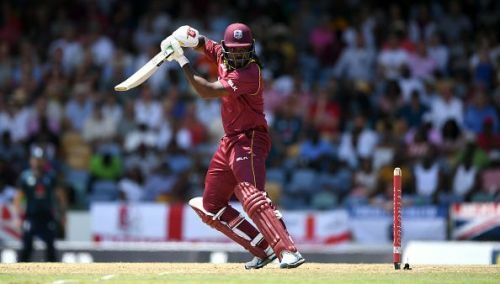 However, Gayle has announced his return in the ongoing ODI series against England, with a sizzling hundred in the first ODI followed by a decent knock in the second. Seeing the form he is in, it will be wise for KXIP if they continue with the Jamaican in their starting XI. Gayle is the second highest run-getter in the IPL among overseas players, and with the form he is in it would not be a surprise if he pips David Warner to lead the list. A constant for the Punjab-based franchise for more than half a decade now, David Miller holds the key in the middle and lower middle order. The lack of consistency is an issue as far as Miller is concerned, but considering the options available in the squad, he seems likely to retain his place in the XI. Moises Henriques who will be a like-for-like replacement for Macrus Stoinis, also makes a good case to be in the XI ahead of Miller. But the fact that KXIP have a top heavy team and Miller can be used lower down the order as a finisher would make it difficult for Henriques to replace Miller. There might be a case of both Miller and Henriques being part of the playing XI, but that would mean dropping one of Gayle, Andrew Tye or Mujeeb Ur Rahman, which seems highly unlikely - at least until one of them goes terribly out of form. One interesting buy for KXIP in the 2019 auctions was that of West Indian wicket-keeper batsman Nicholas Pooran. Known for his exploits in T20 cricket, Pooran might just be the x-factor player that KXIP need. Someone who bats mostly in the top 3, Pooran possesses the adaptability required to bat a little lower and play as a finisher. In case Miller's form continues to desert him, KXIP have the alternative in the form of Pooran, who can be equally devastating if not more. Tye has been one of the best T20 bowlers around the globe the past couple of years, and has the knack of always being amongst the wickets. He was one of the best performers for KXIP in the rather disappointing 2018 season along with KL Rahul, winning the coveted Purple cap with 24 wickets from 14 games. The exceptional performance of the Aussie has raised the expectations from him, and that makes him one of the starting names in the XI. With Mohammad Shami also there in the squad, the new ball will be shared mostly by the experienced Indian pacer and Ankit Rajpoot, who was impressive with his swing and bounce last year. Tye will likely be bowling at the death and a few overs in the powerplay, and will be tasked with the responsibility of spearheading the pace attack for the team considering his specialization in death bowling. The teen sensation from Afghanistan has been troubling all batsmen with his mystery spin in the T20 leagues around the globe. Mostly used in the powerplays, Mujeeb was mighty impressive in his debut season before a finger injury ruled him out midway through the tournament. 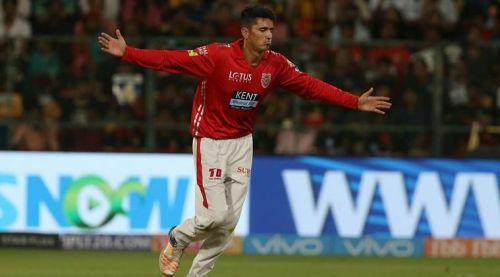 Having shown his class in international cricket, especially in the Asia Cup against more fancied oppositions, Mujeeb might be the trump card for KXIP this season. With his added experience, he would be expected to be even more dangerous this time than he was in 2018. While Mujeeb seems to be an automatic choice, KXIP might be forced to look towards an all-rounder to strengthen their batting. In that case they have Sam Curran, the man who single-handedly snatched victory from the jaws of defeat against India in Tests in 2018 with his all-round abilities. The left arm pacer's addition will not only add variation in the bowling, but also provide them with a really potent option at number 7. It will be a difficult choice for the management to make as they have to select any two out of Andrew Tye, Sam Curran and Mujeeb. Follow Sportskeeda for all the updates on IPL 2019 purple cap, points table, schedule, news, live scores, orange cap and fantasy tips. 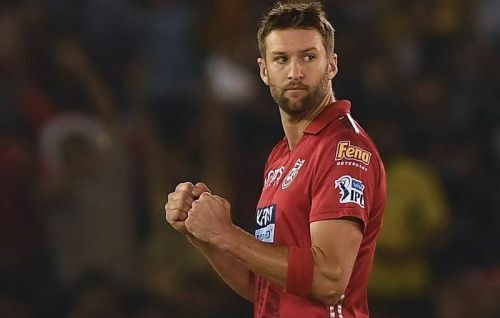 IPL 2019: Kings XI Punjab's top XI players.